Just when retailers thought offering two-day shipping could win over shoppers this holiday season, Amazon gave them a big middle finger by saying all customers in the U.S. will get free shipping with no purchase minimum (for an unspecified “limited time”). It just goes to show that Amazon continues to set the bar in retail, and virtually everyone else follows. Last year, for example, Amazon offered free holiday shipping for all customers on orders of $25 or more and, naturally, this year the stakes are even higher. According to a statement, Amazon’s offer covers hundreds of millions of items, and tens of millions of U.S. Prime members can get free same-day delivery on three million items, including toys, electronics, home goods and fashion. The statement notes this is the largest free shipping selection in the country. “Place an order in the morning and receive eligible same-day orders before bedtime that very same day, seven days a week—even Sunday,” Amazon said. In addition, Prime members in 60 cities can get deliveries from Whole Foods in as little as an hour through Prime Now and can pick up groceries in as little as 30 minutes in select cities. 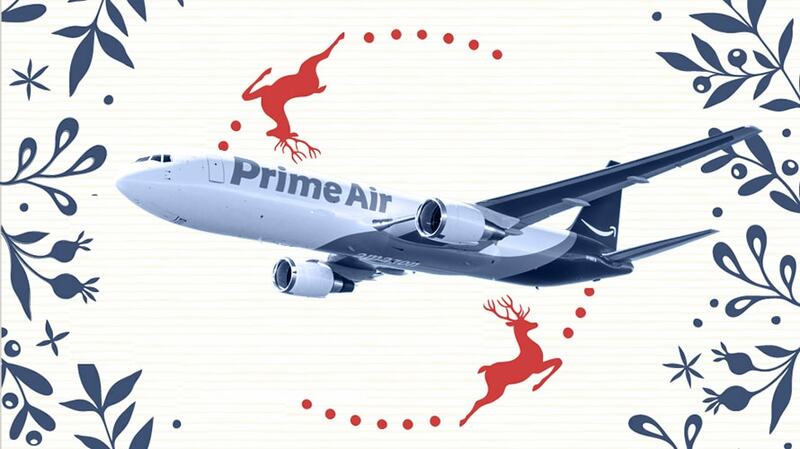 Prime members can also use Prime Now to get one- and two-hour delivery on tens of thousands of items beyond groceries in 30 cities, which, the statement notes, is ideal for last-minute parties, gifts or travel. Target comes close to matching Amazon’s offer, though. The retailer has free two-day shipping on all orders with no minimum purchase through Dec. 22. However, selection is limited to hundreds of thousands of items, and Target said in a statement that if free two-day shipping is not available during peak periods, it will give customers free standard shipping. Walmart has a bigger selection—millions of items are eligible for free two-day shipping—but orders require a $35 minimum and only orders placed before 2 p.m. local time and outside of weekends and holidays get free shipping within two business days. Macy’s is also currently offering free shipping and no minimum for its Star Rewards members. However, others in the U.S. have to spend $99 unless they are buying beauty products, which ship for free. But Macy’s, which has about 650 U.S. locations, is also encouraging customers to avail themselves of free in-store pickup. Kohl’s, too, wants customers to “buy online and pick up their gifts in-store to provide even more convenience for the gift giver,” and it says most of these online orders are ready in an hour. But if they want their orders shipped out, online shoppers will have to spend $50 for free shipping. Forecasts indicate a strong holiday season overall, but when it comes down to price and convenience, Amazon is again proving to be a formidable holiday foe.